12-Sheet wall-hanging Calendar. Has been an icon of Bangalore Press’s 93 years of service in the field. 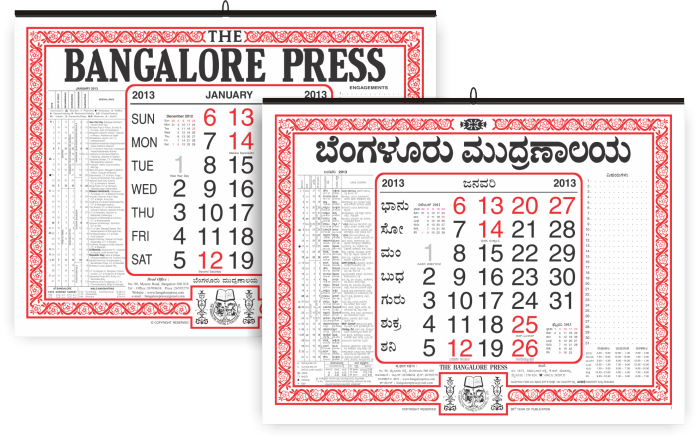 Printed in the size 12” X 16”, this Calendar has been one of the most trusted names in Karnataka, for its accuracy of festivals and other special days of the year, and important events in all parts of the state of Karnataka.